On the evening of February 18, 2002, the Franklin Fire Department was dispatched to a fire at the Whitnall View Motel on Lovers Lane Road. Battalion Chief Ronald Mayer was the first to arrive at the motel. Seeing heavy smoke coming out of one of the rooms and crowd gathering in front of the one story building, BC Mayer called for additional fire units. He also saw a man crawling out of the room. This man, the motel owner, had been trying to get inside the room to find the man that was believed to still be inside. Doing his best to get to where the man was believed to be, he could not quite get there. The blistering heat and deadly black smoke forced him out of every attempt. Knowing that the first arriving engine company was still minutes away and that a few of the bystanders were making plans to try another rescue attempt, BC Mayer decided to try to get to the imperiled man himself. Crawling along the floor to the far side of the hot, smoke filled room, BC Mayer was able to get to the side of a bed where he found a 53-year-old man, lying unconscious on the floor. Stopping momentarily to radio in the situation, BC Mayer then dragged the man out of the building to the safety of the cold outside air. Once outside he got him covered with a blanket and found that he was barely breathing. Staying with the man, BC Mayer directed the firefighting operations from that location until paramedics arrived to take over his care. 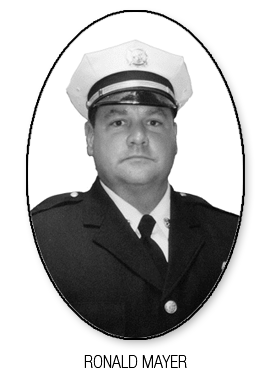 Not only did the heroic actions of Battalion Chief Ronald Mayer save the life of the man, who suffered from smoke inhalation and received second and third degree burns over 28% of his body, but he most likely saved some well meaning by-standers from injury or death by preventing them from entering the burning room as well. 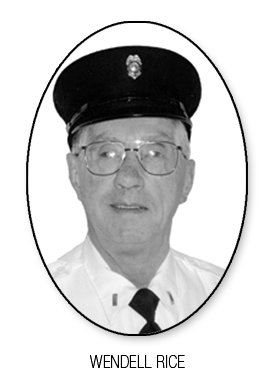 “Man, here’s a guy who has 40 years of service on the department, he must not be very active any more.” These were the thoughts of David Izzard of the Platteville Volunteer Fire Department, when he had first met Wendell Rice. And this was over ten years ago. Currently, with over fifty years of volunteer service with the Platteville Volunteer Fire Department, Wendell Rice continues to be one of the most active firefighter in his community. In just the past five years alone, Wendell has continually been one of the top five active members from the department, having responded to 95% of their fire calls and attending 99% of the department’s training sessions and meetings. His selfless dedication has been an inspiration to both those who have been fortunate enough to serve with him, as well as to all of those whom he has been called upon to serve. Wendell Rice’s activities with the department and his community have not been limited to fighting fires. Wendell Rice has spent 42 years as a Grant County Special Deputy, and was a 19 year member of the Platteville Police Department. He assisted in establishing their EMS program, participates in many fire prevention programs, assists raising funds to operate the department, volunteers for the Chamber of Commerce, and has provided maintenance for the town’s fire equipment for many years, especially for his favorite, “Old #3,” a 1976 Ford pumper which still shines as brightly today as it did the day it first backed into the station. He sets an example for his fellow firemen, always going the extra mile in his own quiet way to do the duties for our volunteer service.